What does energy feel like to you? Never have I ever felt an energy so vibrant bursting with good vibes from the text of a book. I mean this book is surrounded by the most powerful magnetic field drawing me in to read every single word. Undeniably these words transfer the energy and efforts of an exuberant teen off to a promising start as an established blogger, author, motivational speaker, and social activist, Hannah Alper. 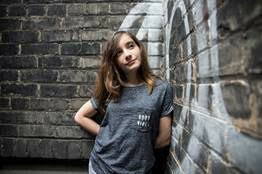 Remarkably noted as the sole teenager recognized as one of Bloomberg’s Ones To Watch In 2018, Hannah's momentous debut onto the literary scene with her first book, Momentus: Small Acts, Big Change is off to an energetic launch. Thank you to Hannah Alper and her promotional team for the courtesy of providing an advanced reader copy for editorial content purposes. Topping the charts as #1 on Amazon’s list in sociology, and popping up in the Top 10 Bestselling Books For Teens in Indigo and Chapters, Momentus is a modern day agent for change. 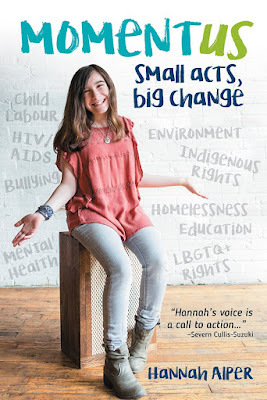 Author extraordinaire, 14-year-old Hannah Alper is using her voice and impressive social media platform to "inspire, motivate and empower people of all ages to identify their passion and take action". Experience the momentous energy of Momentus: Small Acts, Big Change by up-and-coming teen author and activist Hannah Alper today.